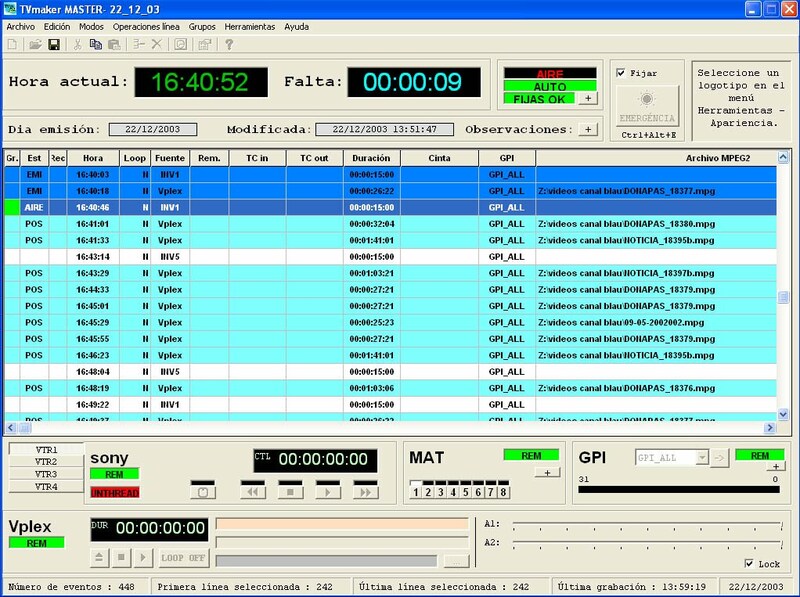 It is a complete playout system for professional broadcasters that I started to develop in 2001 for canal blau. The project was bought for VisionRobotics and it was evolved until 2007. Decklink, Optibase, Matrox, Dayang, Osprey, Bluefish, Nevion, Kramer, JVC DVD-RAM Library, Sony VTRs, Panasonic VTRs, National Instruments, Advantech.